From fuelling domestic violence and poverty to lining the pockets of criminals, Albania's love of gambling has spawned a scourge of social ills in one of Europe's poorest countries. But at the start of 2019, the Balkan state is taking a nationwide resolution to break the addiction in hopes of curbing suffering that has consumed many families. On January 1 a law will go into effect shuttering the 4,300 betting venues that have cropped up on nearly every street corner in the country of 2.8 million people. It is an "extremely high" ratio of one shop per 670 people, far above that seen in both neighbouring Balkan states and more developed Western European countries, says economist Klodian Tomorri. The betting blackout will also outlaw online gambling and restrict casinos -- some of which are currently near schools -- to five-star hotels in licensed tourist resorts. For people like Arta, a 31-year-old mother of two, the move is welcome although it comes too late to shield her own family from a devastating loss. Last July her husband leapt off a building after betting for the losing team in Belgium-France football match, she recalls with tears and trembling hands. "He bet on Belgium, but in fact, what he got was misery," said Arta, who is now relying on around 100 euros of monthly state aid to raise her young kids. According to a study by the University of Tirana, one out of four gamblers have attempted suicide at least once. Another 70 percent have struggled with stress and psychological problems. "We also found a close link between domestic violence and gambling, which has led many families to experience very serious crises," said Iris Luarasi, who runs a counselling line for victims of violence. Ilir Musta, a heavyset 35-year-old man, experienced that type of family catastrophe first hand. "I don't know how to get out of this, please help me," he recently told a doctor in Tirana, where he was seeking help for anxiety. "The game was good at first, but now it's a cancer. I lost my life, my wife, my daughter, I'm a living dead," added Ilir, speaking in a shaky voice as his eyes darted around the room. He started betting on sports just two years ago, convinced he was on the verge of making a fortune. But instead he found himself drowning in debt and ended up in prison for violently beating his wife after she asked for a divorce. There are scores of other families who have been ruptured by the destructive addiction. According to Tirana lawyer Vjollca Pustina, some 70 percent of divorce cases brought to court in the capital this year have been linked to gambling. The government says rehabilitation centres will be opened to help gamblers who will be forced to quit cold turkey. But there is concern that the centres will not be ready soon enough. "Gambling addiction is a disease and must be managed once the betting rooms are closed for players, but for the moment rehabilitation centres are completely missing," said Menada Petro, professor of social sciences at the University of Durres. The industry has also been criticised for draining money from families in a country where the average monthly salary is below 300 euros ($342). According to official figures, Albanians spend some 140 to 150 million euros ($170 million) on sports betting annually, which amounts to 70 percent of what the average family spends on healthcare. But when accounting for illegal betting, the real figure is estimated to be around 700 million euros ($798 million), according to the government. For Socialist Prime Minister Edi Rama, another core goal is cutting off a cash flow for organised crime groups who profit from the industry and use it to launder money. But he admits that the new law will not end the fight against gangs, a key task for a government that wants to kickstart EU accession talks. "The war will continue as criminals change their skin and strategy," Rama said in a recent TV interview. 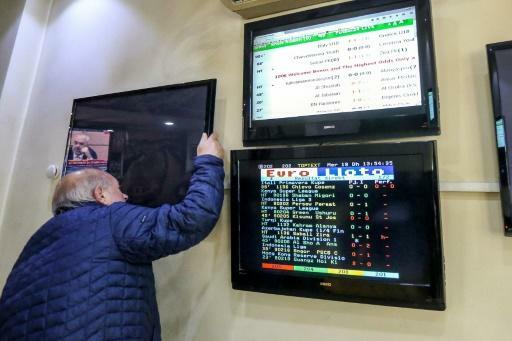 Some betting shops already closed in December while others are trying to profit from a final year-end rush, said Artan Shyti, president of the Federation of Albanian Betting Companies. The next battle will be controlling illegal venues, especially online. 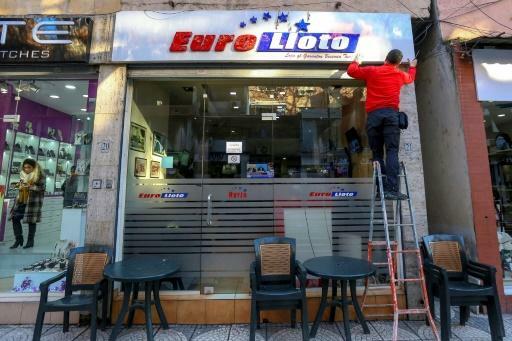 Betting firms "have started to move to Macedonia, Montenegro and Kosovo where they already have their subsidiaries and can operate quietly (online)," Shyti told AFP. Albania tried to reduce the number of betting clubs in 2013, but politics and special interests got in the way. Now the new law, passed in October, will put some 8,000 people out of work. 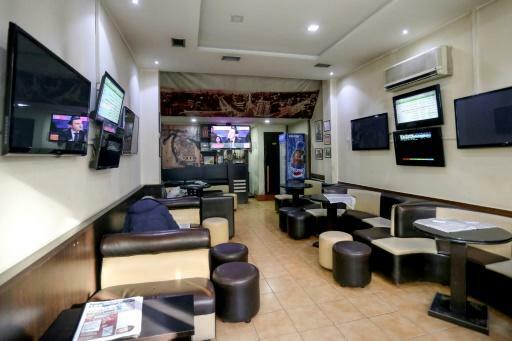 "The authorities have allowed (this industry to grow) and now they are forcing us to suddenly close our business without distinguishing between clean and dirty (operations)," says Arjan Gumi, 47, who has run small betting club in Tirana for 16 years. He says he doesn't yet know what to do next and is hoping the government follows through on a promise to assist the unemployed. "It is tragic for our families too," he added.